Wait, there IS a way that you can partner up with yourself in the next tag-team wrestling match. This awesome adult Wrestler Piggyback costume helps turn your legs into your very own tag-team grudge match partner. 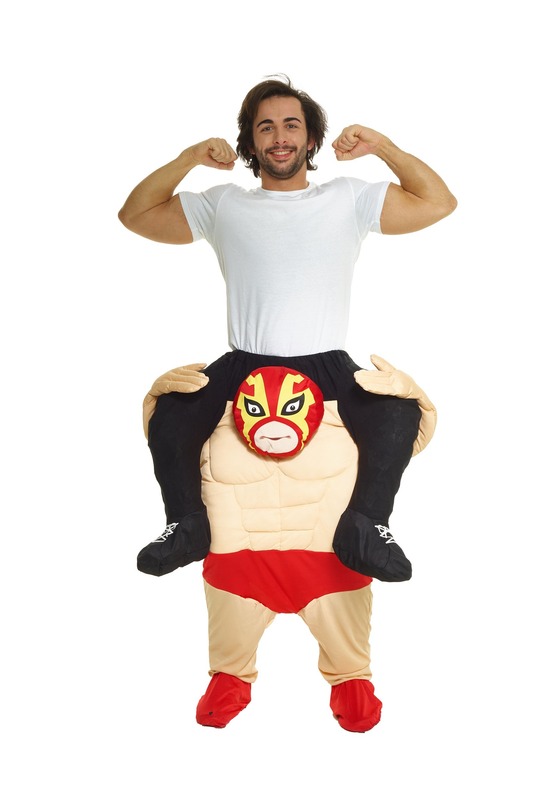 Yes, this costume turns your legs into a muscled up wrestler who’s going to help carry you to victory, quite literally actually! You see, the bottom portion of the costume looks like sculpted muscles and a luchador wrestler which even has a pair of beefy arms attached to the sides. Now you can enter that tag-team match solo and no one will even bat an eye at you. Just remember that wearing a costume like this requires extreme endurance, since you’ll need to do the work of two luchadores. Make sure you practice your headlocks and your tandem elbow drop (which will be your new signature move). Once you’ve got that down, it’s time to enter the ring to earn that championship belt.